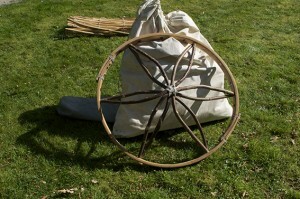 We make our lovely yurts for sale as well as hire. 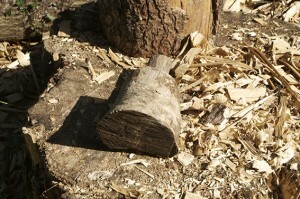 We can make them entirely from coppiced materials or can make them part sawn depending upon your requirements and budget. 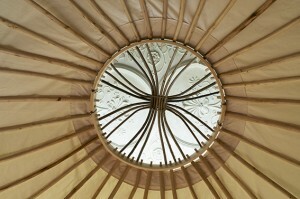 All of our yurts are hand made and hand finished to a very high standard by us here in Herefordshire. 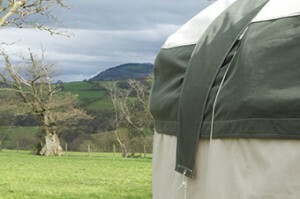 Your yurt will come with a fitted flame retardant canvas and groundsheet. There are a variety of canvas colours available and because we sew the covers ourselves we can tailor the details to your requirements with a variety of options available. These can range from having windows, a canvas door or a solid wooden door, more than one door, an opening for a wood burning stove, insulation etc. 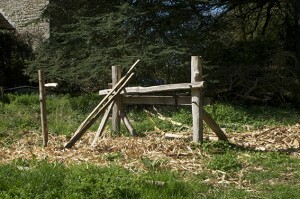 We are also able to make a platform for your yurt to sit on should it need to be up for most of the year. We have a strong commitment to the environment and the sustainability of what we offer. All of our yurts are hand made and finished by us at home, from the coppicing and sourcing of local materials to the stitching of the canvas, we are crafting them at every step of the way. 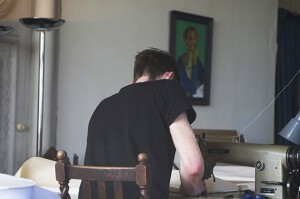 It is important for us to also involve other local businesses and crafts people wherever we can. Our yurts are made entirely from sustainably managed materials which we are lucky to be able to source locally. We match the materials we use to the environment they are in, and therefore only use native British hardwoods, mostly Ash and sweet chestnut. We aren’t going to bore you with an endless list of how we are ‘green’, green is what we do and is a given for us. Should you want to find out more about this, please ask. If you’re interested in getting a quote from us for commissioning a yurt, please get in touch to discuss your requirements and we will be happy to supply you with a tailor made quote.